Check your child's Halloween candy. That's the message from police in Port Alberni after two parents found containers full of pills in their kids' Halloween candy hauls. Amanda Armstrong says her four-year-old son Dalton dumped out his bag of candy Wednesday night. As she checked over it, she came across a Kinder Surprise egg with medication inside. 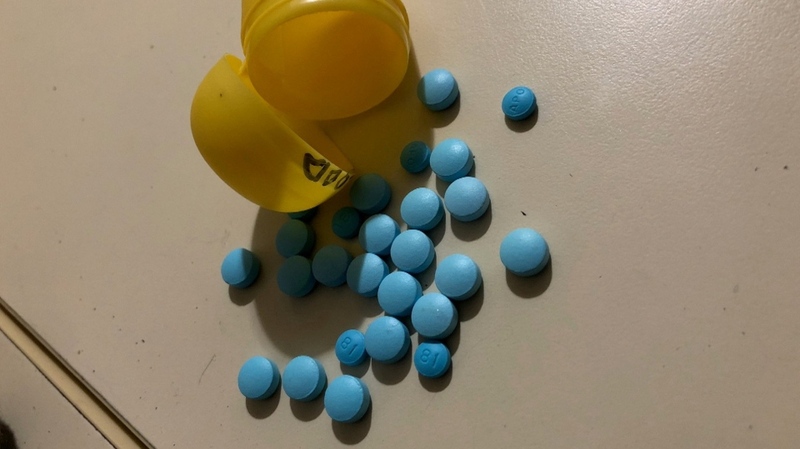 "At first I was very shocked, then I kind of panicked a little bit because if it wasn't me that found it, he would've probably thought they were Tic Tacs," said Armstrong. The hand-out was given to the youngster when he was out trick-or-treating in the 2700-block of 12th Avenue. "I watched her put the little Kinder egg thing in my son's bag, but to me, I thought it was just the Kinder egg toy," she said. 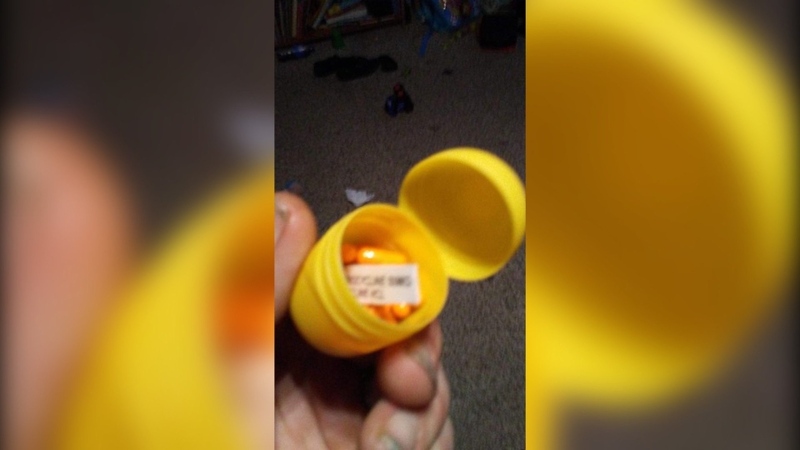 A second set of different pills were handed out from the same home to Gail William's son. "It was a Kinder surprise egg. It had the word 'blood on it,'' Williams told CTV News. "It looked like it was just going to be a normal candy that people just divvy out, or like a toy or something." Both parents notified local RCMP who went to the home and found a woman in her 80s who may have been suffering from a cognitive issue like dementia. 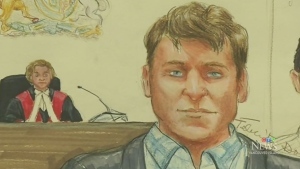 "The woman was also handing out things like scarves and mittens and calculators and clocks, so we're not looking at any malicious intent here," said Port Alberni RCMP spokeswoman Cpl. Amelia Hayden. RCMP say the woman handed out a large number of personal items including some pieces of jewellery. They're hoping anyone else in Port Alberni who may have been handed medication or items of value from the senior will contact them. Meanwhile on the Saanich Peninsula, there is similar concern after a parent discovered a chocolate filled with liquor in his child's stash. Last year in Victoria's James Bay neighbourhood, police were called after a child went trick-or-treating and wound up with a package of marijuana gummies. Police later determined they had been handed out mistakenly. 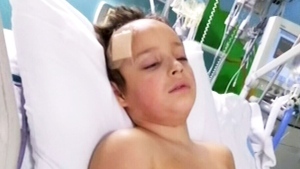 "This just goes to show the importance of concerned parents," said Hayden. " Every parent checking the candy that the kids have brought home, check it before they get into it, before they eat."